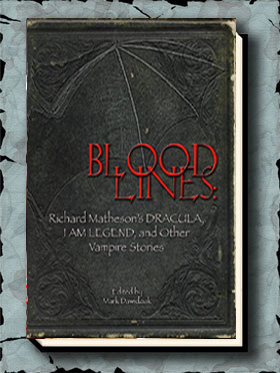 Bloodlines: Richard Matheson’s Dracula, I Am Legend, and Other Vampire Stories, is an omnibus collection of Matheson’s vampire tales and scripts. 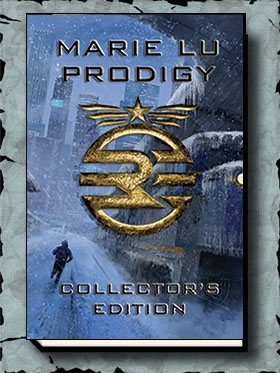 Edited by Mark Dawidziak (The Kolchak Scripts), the book contains both the novel and screenplay for I Am Legend (there has never been a Lettered edition of the book). Matheson’s script was purchased by Hammer Films in the U.K. in the sixties, but the British Censor Board called for two pages or revisions due to “gruesomeness,” which Matheson would not make. The letter is reprinted with the script. This is Matheson’s vision of his classic novel, which is far better than the two films that don’t come close to doing justice to the book. Matheson was also the first to write a “Dracula” script based on the Bram Stoker novel. Filmed in 1974 for television by the late Dan Curtis (starring Jack Palance), we have both Matheson’s screen treatment and script. This is another oversized 8½ x 11″ book with the “Dracula” script presented as Matheson typed it, with many handwritten corrections and changes. Loads of appreciations appear in both editions. 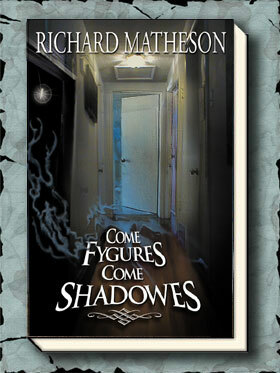 Those writing the appreciations will sign only the Lettered edition: Ray Bradbury, John Carpenter, Rockne S. O’Bannon, Mick Garris, Frank Spotnitz, Steve Niles and Richard Christian Matheson.